St. Petersburg - Kirov Stadium 17.07.2017: The construction of the Kirov stadium was done as a part of a larger project aimed at reconstruction of Saint Petersburg (then called Leningrad) ravaged by the World War II. The stadium was built on the end of Krestovsky Island, on the coast of the Gulf of Finland. Initially it could hold up to 100,000 spectators. 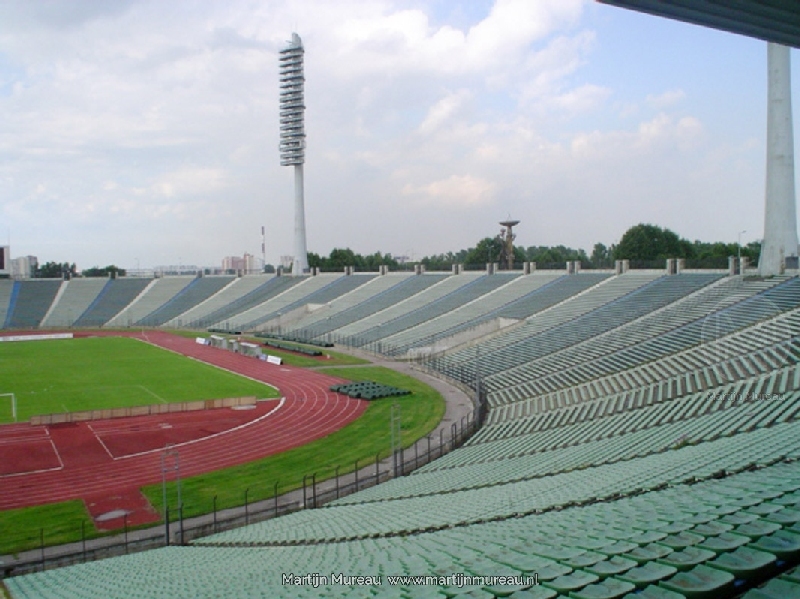 The Kirov stadium was inaugurated on 30th July 1950, with a match between two Leningrad teams. Shortly after a record number of spectators – 115,000 – came to see a match between Zenit and CSKA on 19th August, the stadium capacity was increased. Over the years the stadium underwent several renovations, for example on the occasion of the 1980 Olympics. However, only a few major changes were made and they resulted in a decrease of the stadium capacity to 80,000. In the early 1990s Zenit left the Kirov stadium and moved to the Petrovsky Stadium. 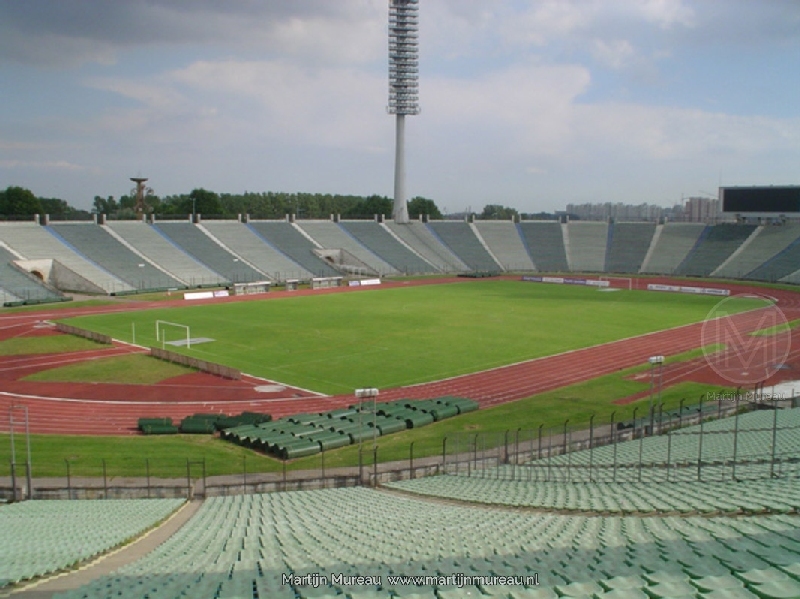 In July 2006 Zenit played their last match at the Kirov stadium, due to unavailability of the Petrovsky Stadium. 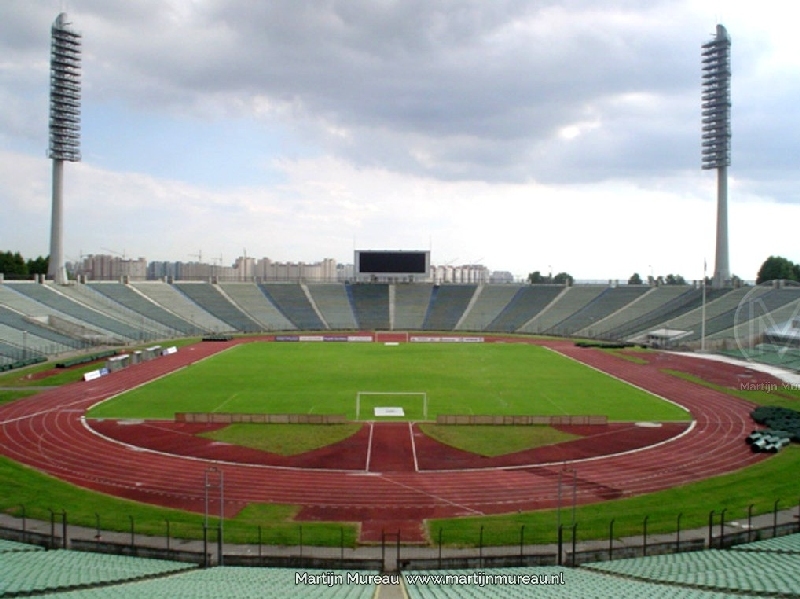 The last official match was played at the stadium on 17th August 2006, and it was a game between the teams of Petrotrest and Shelkovo, which the latter won 3-0. Shortly after this the stadium was demolished and construction of a new Zenit stadium began. Many people protested against the demolition, as the stadium was considered a landmark, and local architects demanded its preservation, but all protests were in vain. The new stadium is currently under construction, and not without complications.